I’ve spent the weekend extensively updating and expanding my technique for resolving plot issues in fiction, and tackling the second draft. It’s designed for writing novels, but it’ll also work for novellas, short stories, vignettes, fan fiction and pretty much anything else with a narrative flow. 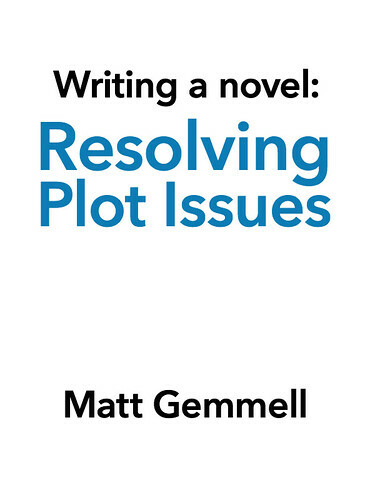 Resolving Plot Issues is now available as an e-book, for maximum convenience and reading pleasure. There’s no DRM, you can re-download your books at any time, and you get free updates for life. It’s a pretty good deal, and it’s also a wonderful way to support my writing. You can buy a copy of the book here for a measly $5. I’ve found the technique extremely helpful for getting a grasp of the 2nd draft of any long-form piece of fiction, and I hope you’ll find it useful too.